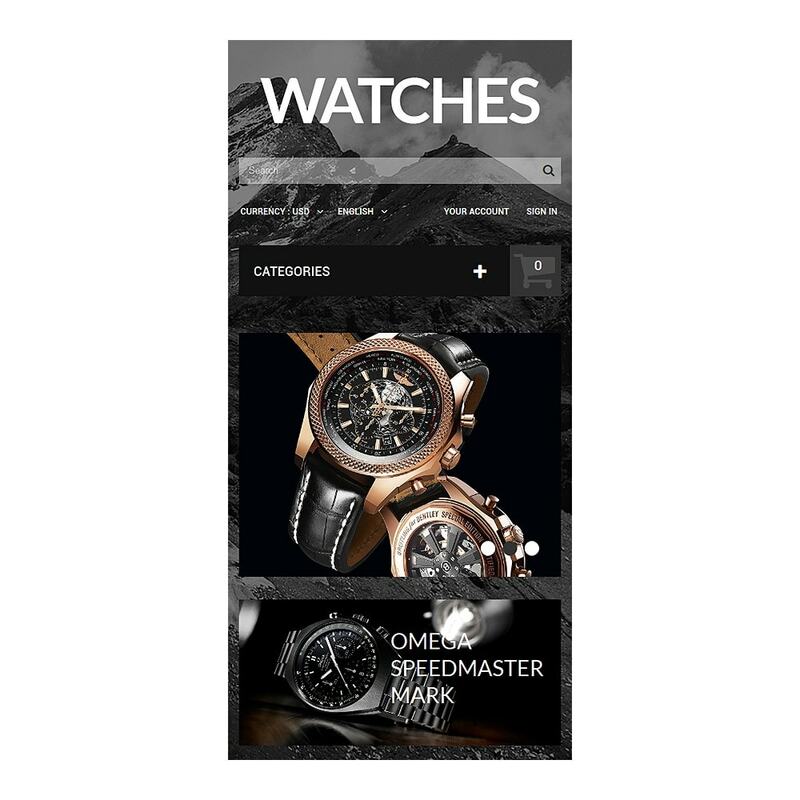 Elegance of this responsive PrestaShop theme makes it perfect for luxury items like jewelry, antique or other exquisite accessories. 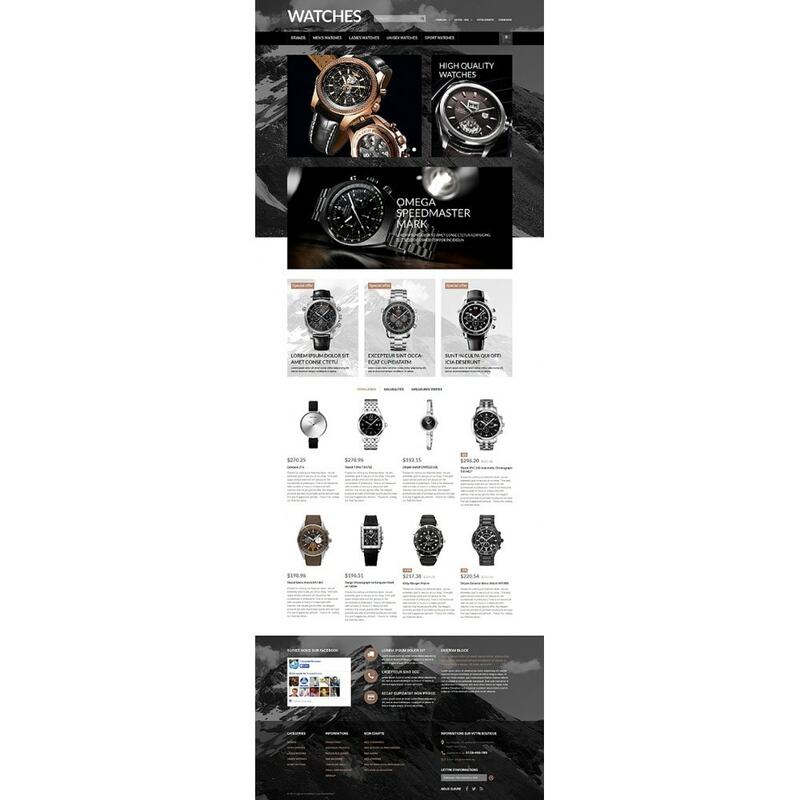 Its black and white aesthetics are flavored with brownish accents guiding viewers through the page. 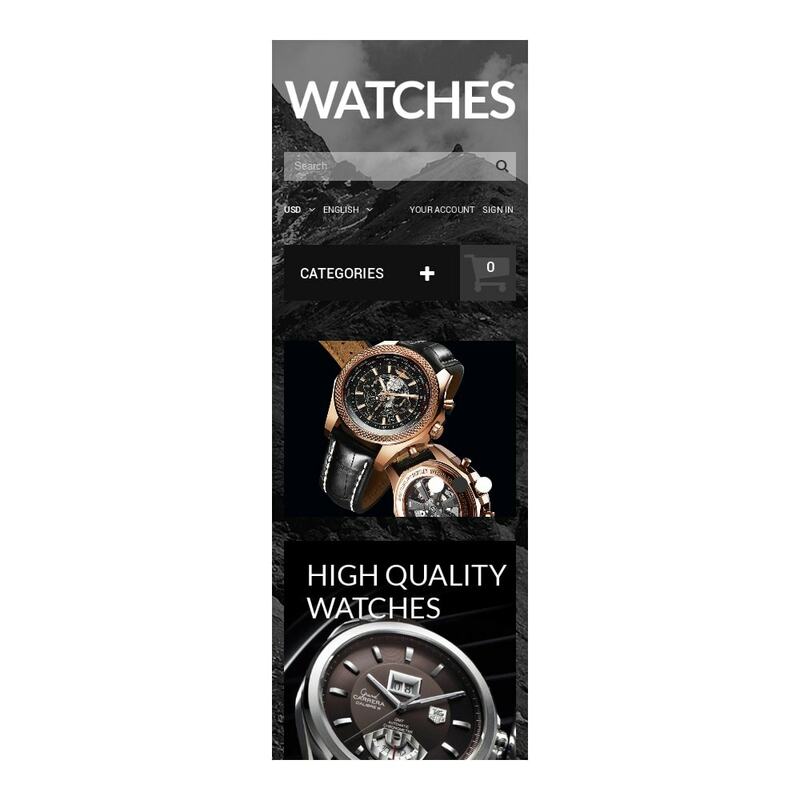 If you want to change the palette or typography, feel free to do it with a built-in one-click switcher. 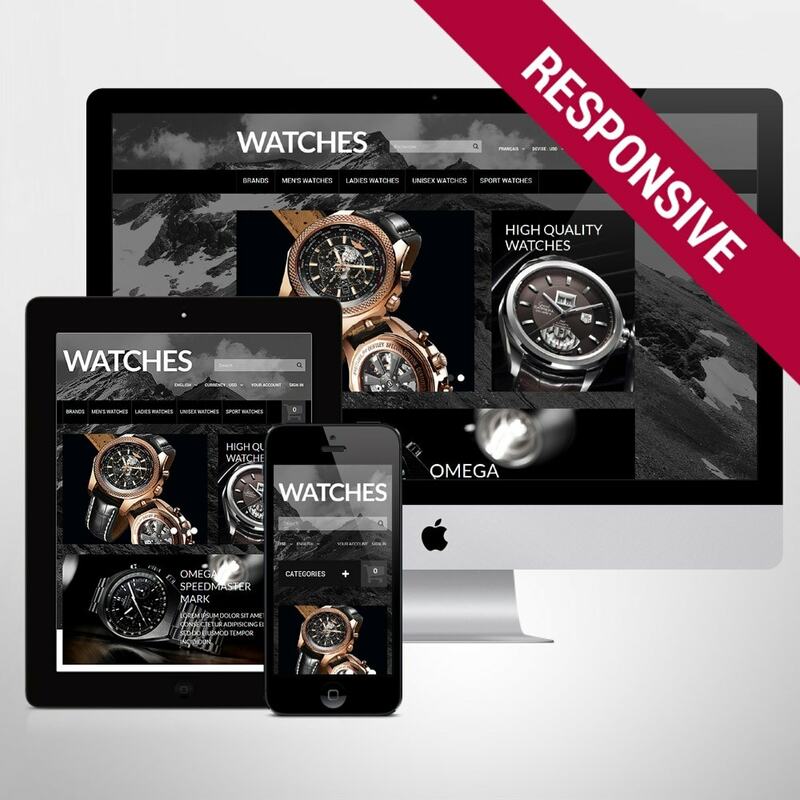 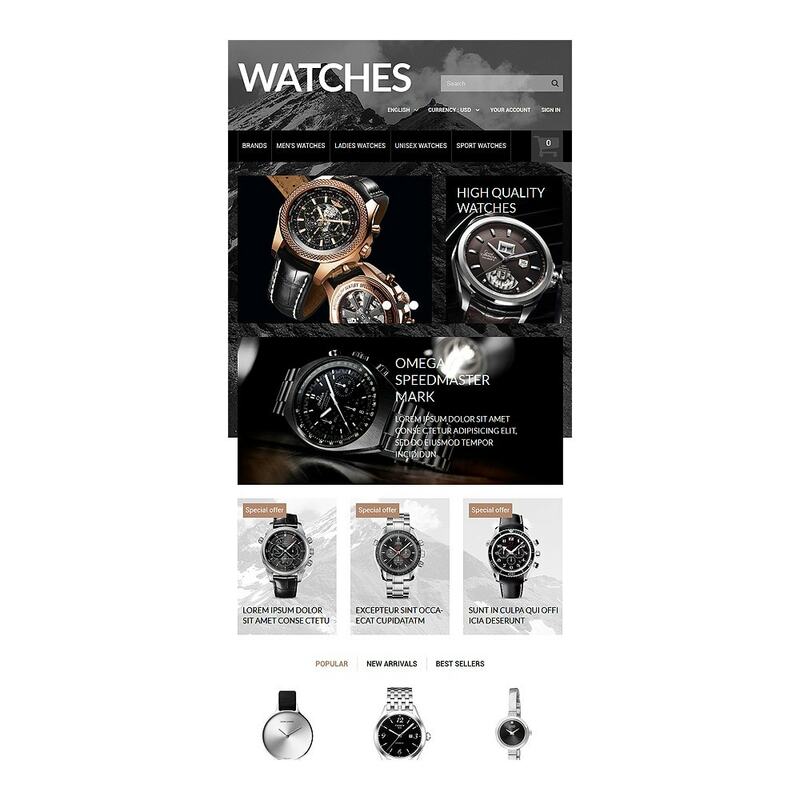 This luxury watches PrestaShop theme can make a dramatic impact on customers with large product images. They are presented in a slider, banners, and a clean block with tabbed navigation. 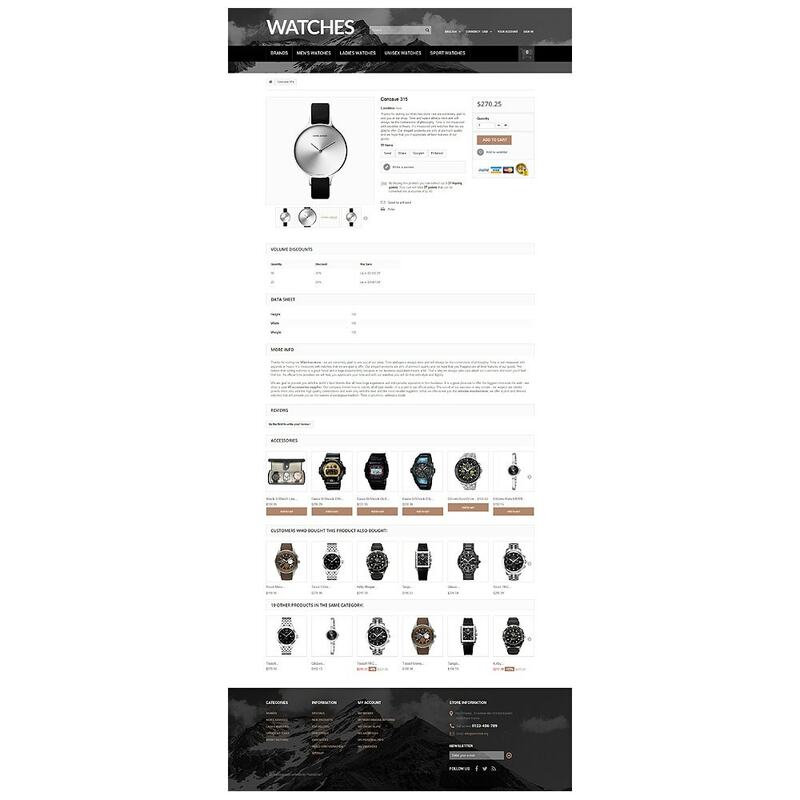 To support the content, there is also a background image in the full-screen header, mega footer and even boxes with special products. This PrestaShop theme is meant for fashion, gifts, jewelry, antique, and electronics stores.